The TV channel Dave will be sponsoring a comedy festival in Leicester next month, and on the programme will be some new comedy from new comedians. So new, in fact, it might not even exist yet. 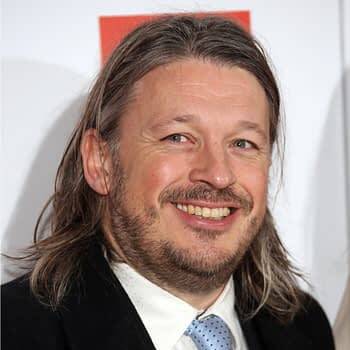 There’s going to be a competition for 30-60 second comedy videos, judged by a panel with Richard Herring at the head. I spoke to Herring in order to get his explanation of the contest, but also to find out what he’s up to – and if he and Stewart Lee will be expecting co-creator credits on the upcoming Alan Partridge movie. Here’s some of what he told me. I think [this competition] is a very exciting opportunity for newer comedians to get their work out there and to win some money, which isn’t too bad, and also to get some comedy advice from the creators of The Inbetweeners. What it involves is creating a 30 to 60 second comedy video, uploading it to YouTube, going to the Leicester Comedy Festival website and entering it, and if Dave are happy with it, it will be submitted and be judged. You’ve got a 30 to 60 second opportunity to impress some actual comedians and industry people, and in that it’s about creating something original and surprising. People judging this will have seen all the comedians, all of the jokes. Beyond the time limit there’s no restraints on it. You’ve got to think carefully, you’ve got to be concise and brief, but I think that if you’re starting out in comedy you’ve got to be able to make someone laugh, certainly if you’re a standup, you’ve got to make them laugh in the first 30 to 60 seconds or you’re sunk. What’s your best possible joke and what’s your best possible way of expressing it? What I like about the internet is that, competitions or not, you’re able to go and load stuff up and, if it’s good, there’s a good chance that it will get retweeted and replayed and seen around the world. I tend to be on Twitter and if somebody tweets something I’ll look at it but I don’t tend to go to YouTube and look for stuff. I upload a lot of stuff, mainly audio podcasts, and it’s great to have the ability to put stuff up without having to go through committees. You can do something that would never get past radio people or TV people. When I was a student, and it’s probably the funniest thing I ever did, was an act introduced as Harold Puxton, the man who can only live in a vacuum and then I’d run on, really excited and half way through just realise I was no longer in a vacuum and die, fall to the floor in a very slapstick way. That probably got the biggest laugh I ever got in my life from the combination of the idea and the ridiculous slapstick and gusto that I threw myself to the floor with. It’s hard to get a good point across in 30 seconds but that isn’t necessarily what this is about. I don’t think this is a competition I would do particularly well in because I like to have longer to do something. The things I won’t like are things that are hackneyed or that I’ve seen a hundred times before. I can’t tell you now what will work I’ll just see something and it will be funny. I’m still cracking away [at writing dramas and sitcoms]. I’ve written about four or five scripts since the last thing that was on TV [You Can Choose Your Friends]. The two I’m writing at the moment seem to have a reasonable shot at getting somewhere. I’m writing a sitcom about Rasputin for TV and a thing about Cheddar Cave cave guides for the radio. Both of those are quite old ideas, in fact. Things come around again, you get another shot at stuff. It got too expensive to write plays for Edinburgh but I’d really like to have another go at a theatre play again. I thought [You Can Choose Your Friends] was pretty good and I then wrote a sitcom version of it that I thought was better but ITV then stopped doing comedy, really. I was at the mercy of committees and people changing jobs and tastes changing. It would be nice to get something scripted off the ground, though, so I don’t have to tour all the time. The basic start for the Rasputin show is Ra-Ra-Rasputin the jukebox musical I did back before there were jukebox musicals, in ’92 or ’93. Basically, it’s a sitcom about Rasputin with a fair degree of accuracy but lots of made up stuff as well. It’s about him being a pop star, and having created Europop. It will have Boney M music but other disco music too for TV as well as there just aren’t that many Boney M songs. Increasingly I’m thinking, most things I could do via the internet. Cheap sketch shows and cheap sitcoms maybe, and you own the whole thing. If you make it to a high enough standard it could possibly go on TV or onto DVD at some point. For me, it’s all about creating the work and not worrying too much about the money coming in as long as some is coming in. I don’t think [Stewart Lee and I] deserve a credit for [co-creating Alan Partridge] to be honest. We joke around about it. We were heavily involved in On the Hour, we were one third of the writing team, we came up with a lot of the feeling of On the Hour and we wrote the first lines that Alan Partridge said but it was very much Steve [Coogan]’s creation and Armando [Iannucci]’s creation so, in reality, I wouldn’t expect anything back from that. That’s part of the reason we didn’t do the TV version of On the Hour [The Day Today] – we were just being seen as writers and we weren’t given any creative control of the characters that we were creating, some of which did end up, in some version, on the TV. At the time I was very disappointed to not be involved in the TV, and our careers would probably have been very different had we gone along with it. I don’t feel we have any right to the Alan Partridge character but we certainly informed that show. I learned that it’s important to retain control to the characters you create. Still, I feel like I’ve got enough ideas that somebody could steal one of my ideas and make a lot of money off of it and I’ll still have enough to do alright. I think Dave, as a comedian, is an amazing channel. With comedy, some of it is going to work and some of it isn’t. They’re rewarding comedians properly for that where a lot of TV panel shows don’t really pay the correct amount of money. I think Dave take shows and repeat them for a long time so, probably, we earn that money. They give comedians an opportunity to try things out and that’s good. With digital TV you’d think there’d be more outlets for comedians, but there aren’t, really. It’s being taken up by the internet. Aaaaaand we’re back where we started. If you do enter a video into Dave’s competition, please let us see it too. You have until January 27th. Thanks again to Herring for taking the time to speak with me. Rumour: Are Universal Planning A Middle Earth Theme Park?